Our Lake Street Unit is located in the Edison neighborhood of Kalamazoo. Attached to the Edison Environmental Science Academy, the Lake Street Unit also houses the Club's Administrative Office. The week of August 28-September 1, 2017 was a week that all units were closed, but that didn't mean that work stopped! The Lowe's Heroes team from the West Main Lowe's had bigger plans! With a $2,500 budget, savvy leaders and paint donated by Sherwin-Williams, they gave Lake Street a much needed makeover! The Lowe's Heroes team repainted the entire unit! The game room was remodeled, and now has blue and white paint (Boys & Girls Club Blue), and removed the bench up front opening the door to get new carpet installed! 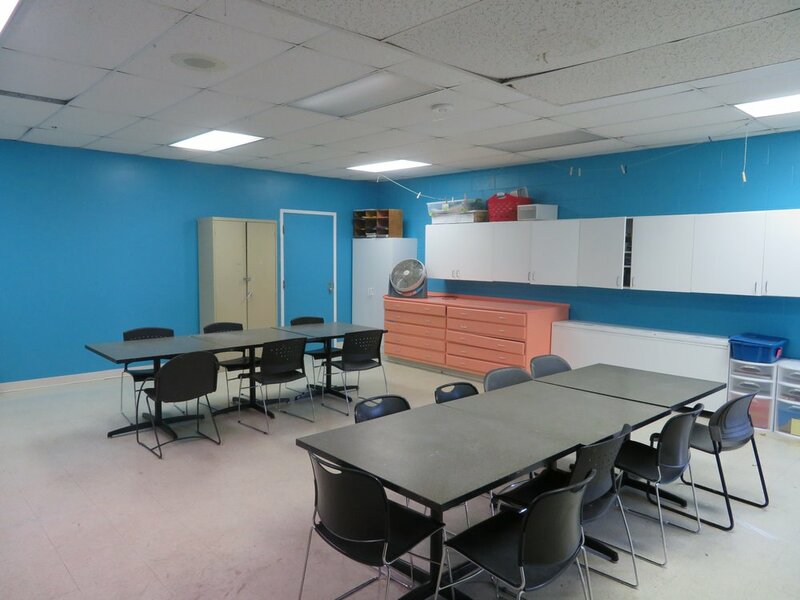 They then repainted the Tech Room, All-Purpose Room, the Learning Center, Discovery Center, and Studio! In addition to paint in the Art Room, they donated cabinets and painted all of the cabinets white. The Games Room after a fresh remodel. The fresh paint in the Tech Room. The All-Purpose Room is looking quite snazzy. The Learning Center is open for learning! The Studio is ready for some groovin'! Some youth members and the Lowe's Heroes! The Discovery Center is open for your imagination! The Art Room is ready for some serious creativity to take place!